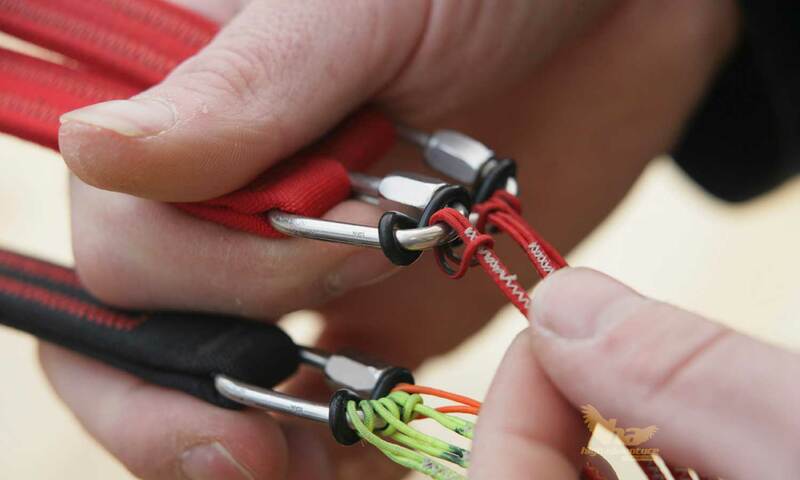 Rail-Check enables High Adventure and NOVA to set new standards in paraglider checking. 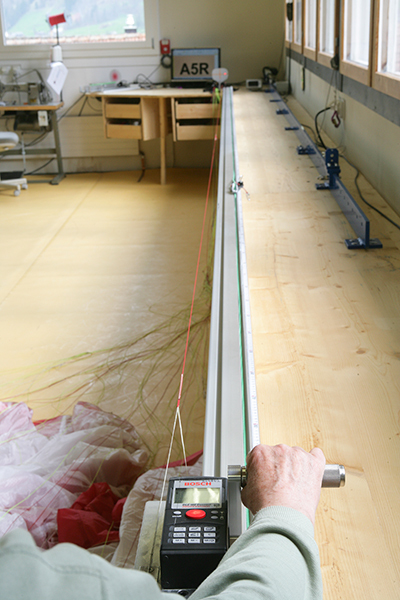 Routine Laser measuring and PC-controlled trimming of paraglider lines have been a NOVA standard for years. No safety-conscious pilot today wants to miss out on this quality control must. is tensioned to its working length over a fixed base-rail and measured according to standardised load/time-requirements. Laser, calibration and testing techniques are always clearly defined constants. Errors due to faulty set up or operator manipulation become a thing of the past. Controlled line loading: Each individual line is measured under 5kg load within fractions of a second, and the result sent via Bluetooth to the computer – no wrong data through overlong load build up (too much stretch). 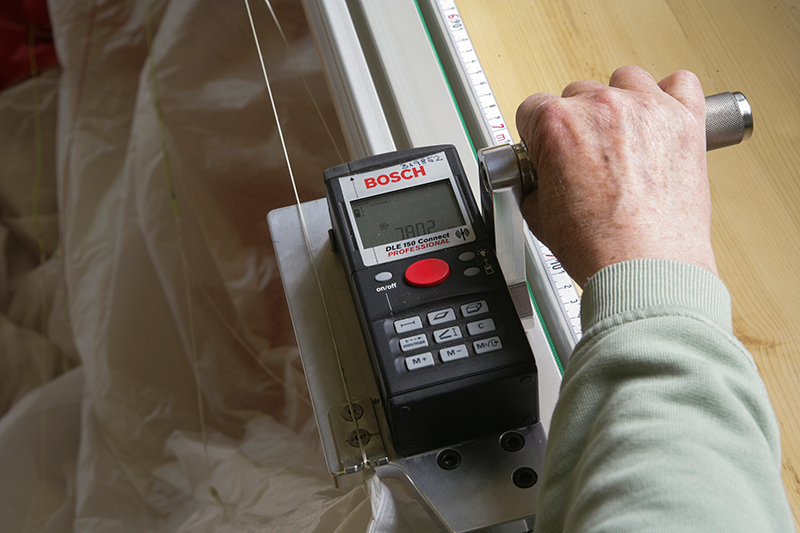 The Laser doesn’t have to be calibrated by hand. Half the time of the previous method is saved. The system works for various Bluetooth Laser/PC interfaces and is available as a left or right handed version. Rail-Check adapts to the workplace and the particular measuring system in use.